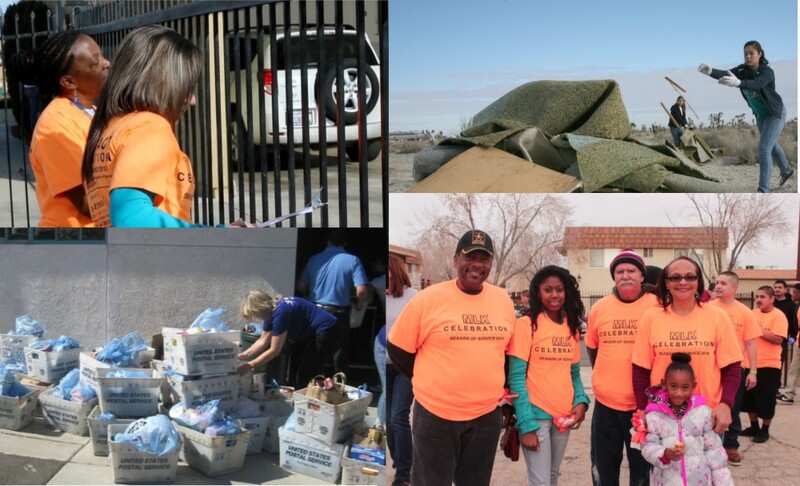 PALMDALE – The city of Palmdale has announced its Season of Service events for 2019, as part of the city’s participation in the National Day of Service in recognition of Dr. Martin Luther King Jr. Day. Kicking things off is the annual MLK Day of Celebration “Hope and Unity Block Party” sponsored by Advancing Communities Together (ACT). The event will take place this Saturday, Jan. 19 ,from 11 a.m. to 2 p.m. at ACT’s facility, located at 38626 9th Street East in Palmdale. The block party is free and open to the community and will feature games, food, live music, art and information on available resources. Community partners and organizations interested in participating free of charge should contact Keela Mastrianni at 661-266-8900 before Jan. 17. Participate in the annual event to document homeless in our community. The count provides valuable information for funding and program development. Youth must be accompanied by a parent or guardian. Time: 8 – 8:30 am registration; 8:30 am project begins. Participants are encouraged to bring work gloves and rakes. Local agencies will be on hand to provide information about volunteering, donating and engaging opportunities. 1002 E. Ave. Q-12. Time: 8 – 8:30 am registration; 8:30 am project begins. Partner with local letter carriers for the 25th Annual Stamp Out Hunger Food Drive. Food assists local families in need. Time: Registration from 8 to 8:30 am. Help SAVES process donations from the Annual Stamp Out Hunger Food Drive for community distribution. Palmdale residents last year donated more than 35,000 hours of service towards making Palmdale an even better place to live. All participants must complete a Release of Liability (available at www.cityofpalmdale.org or at event registration). Volunteers under age 16 must be accompanied by an adult. 1 comment for "Palmdale announces 2019 “Season of Service”"